Our newest SharePoint 2013 training course will answer that question and give you hands-on experience with the most significant new features. Our new 2-day “Exploring SharePoint 2013 - New Features: Preparing Users for Upgrade and Migration” will help prepare SharePoint 2010 users for the new interface, capabilities, and functionality coming in SharePoint 2013. Which new features will YOU be using on a daily basis? Which ones will change the way you work? This intermediate-level course is aimed at experienced SharePoint 2010 users who want to become familiar with the new features of SharePoint 2013. It is NOT a course for SharePoint beginners. 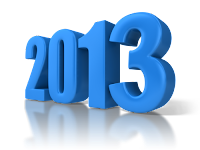 Our new SharePoint 2013 course will debut in Nashville January 29-30, 2013. The cost of the 2-day class will be $1195.